Filtrete filters from 3M attract and capture large airborne allergens like pollen, mold spores and pet dander to help clean your indoor air. These air and furnace filters last up to 3 months. The Filtrete Advanced Allergen/Odor reduction filter, captures up to 93% of large airborne particles and filters microscopic particles like household dust, smoke, smog particles, bacteria and particles that can carry viruses. Personalize Your World! Decorate, organize and celebrate without the worry of damage with Command™ Adhesive products. Explore damage-free hanging solutions; adhesive hooks, picture hangers and organizers with firm holding power and clean removal. Household cleaning products from 3M help you get your house clean and keep it that way. One of the must trusted brands in the industry, 3M is constantly innovating to make life easier. Abrasives for autobody and collision repair including hundreds of varieties of abrasives. From the finest grade finishing films and sandpapers to extra coarse grinding products. We carry numerous forms such as sanding discs, file sheets, sandpaper, cut off wheels, and scuff pads. Thinking about canning this season? Ball Mason Jars have been the standard since 1880. Stop by Douglas Hardware and Rental and check out our vast selection of Ball® products. At Delta Faucet, kitchen faucets, bathroom faucets and shower systems pair inspirational design with innovations that anticipate people's needs, like Touch20® Technology faucets that turn on with just a touch and In2ition® Showers with integrated shower heads and hand showers. Delta puts its products through a punishing regimen of durability testing. They stand behind them with a comprehensive warranty, and they offer a wide selection of replacement and repair parts, just in case. Another way Delta is more than just a faucet. Founded in 1950, Flanders designs, manufactures, markets, and distributes air filters and related products. They are one of the largest US manufacturer of air filters, which are utilized by many industries as well as within residential heating, ventilation and air conditioning systems. The cure for the common, chemical air freshener, which is designed to mask unwanted smells, unscented Fresh Wave® is created for odor elimination. Fresh Wave Sprays, Crystal Gels, Candles, Vacuum Pearls, Laundry Multi-Purpose Additive, Carpet Shake, and Pearl Packs use the power of nature for safe, non-toxic odor elimination without the use of perfumes or fragrances. They’re great for the home, car, office, cabin, boat, locker, gym bag and every place else. Wherever you have an odor, we have a Fresh Wave solution. What makes FrogTape® different? The answer is PaintBlock® Technology. FrogTape® is not just another masking tape. Explore and select which FrogTape® is right for your job! Watch the video to the right about selecting the right FrogTape®. 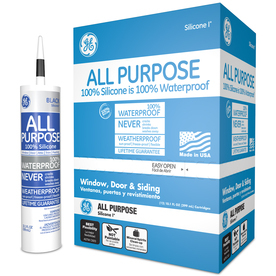 The GE caulk lineup features premium, waterproof, 100 percent silicone and paintable waterproof silicone caulk for use with a range of applications, enabling homeowners and pros to complete almost any sealing project on the interior or exterior of the home. GE acrylic caulk is available for general-purpose interior painting. Genova Products, Inc. has been a leader in the do-it-yourself industry since 1962. They are the world’s largest manufacturer of vinyl plumbing, and the only company to make whole-house plumbing pure and fittings—from the well or water line tot he sewer or septic system. Vinyl plumbing is not only easy to install, but the pure virgin vinyl used in Genova products lasts longer and works better than other plumbing systems. Spots, stains and messes can damage and destroy your most cherished and valuable possessions. That's why Goof Off® makes a wide range of effective solutions that work the first time on your toughest cleaning challenges. Using proprietary chemistry, the Goof Off® product line cleans what ordinary household cleaners can't — from grease, glue and grime to crayons, adhesives and virtually every tough cleaning problem you'll ever encounter. GREAT STUFF™ Insulating Foam Sealants seal air leaks easily, inexpensively and permanently. Packaged with an easy-to-use straw, GREAT STUFF™ Insulating Foam Sealants fill pipe penetrations, gaps in the structure where two building materials meet, and any space that allows air to enter or leave the home's envelope. There are five formulations of GREAT STUFF™ Sealants: Gaps & Cracks, Big Gap Filler, Window & Door, Fireblock, Pestblock, and Pond & Stone. GREAT STUFF™ Insulating Foam Sealants bond to wood, metal, masonry, glass and most plastics. The Hillman Group is the leader in today’s market in Fasteners, Keys, Letters, Numbers, Signs (LNS), and Engraving. Hillman is also the industry leader with the ability to market, package, and sell 40,000 SKUs. Fasteners still remain the core of Hillman’s business with the product line encompassing standard and specialty nuts, bolts, washers, screws, anchors, picture hanging items, and more. Leviton provides the most comprehensive range of solutions to meet the needs of today’s residential, commercial and industrial buildings. Leveraging more than a century of experience, Leviton helps customers create sustainable, intelligent environments through its electrical wiring devices, network and data center connectivity solutions, lighting energy management systems, and security and automation applications. From switches and receptacles, and daylight harvesting controls to networking systems, intelligent safety controls, and equipment for charging electric vehicles, Leviton solutions help customers achieve savings in energy, time and cost, all while enhancing safety. Mansfield Plumbing Products (MPP), founded in 1929, is the leading United States producer of top quality, high design, performance plumbing fixtures and fittings. With more than 600 employees, the company is one of the largest domestic producers of sanitary ware, and is proud to stamp many of its products with “Made in the USA”. To ensure the highest quality, stringent quality control standards and extensive testing is applied to every product made. Master Lock is recognized around the world as the authentic, enduring name in padlocks and security products. Since its founding in 1921, Master Lock has worked hard to earn and maintain the trust of its customers by delivering on its promise of strength and quality and by continually setting new standards for lock design, application and performance. As the largest global manufacturer and marketer of padlocks, Master Lock continues to build on its founder’s passion for innovation, quality, and compelling value into expanding lines of security solutions. The Ortho brand has a history of innovation when it comes to pest control, being the first in the category to offer hose-end applicators, applicators that require no mixing or measuring, ready-to-use pesticides, consumer education programs, environmentally-friendly line of control products, selective weed control, a comprehensive problem-solution resource, the Ortho Problem Solver, DIY solution publications, and continuous spray applicator. Today, Ortho® sells nearly $300 million across weed control, insect control and animal repellent products. For more information about Ortho, visit their website, Ortho.com. Peerless offers affordable faucets with proven design in a range of styles and finishes offering consumers an easy way to refresh the bathroom and kitchen. Distributed through selected hardware stores and other retail outlets, Peerless provides installation support every step of the way from detailed installation instructions, to Internet support, to a toll-free help line. Backed by Delta Faucet Company, the largest U.S. manufacturer of residential and commercial faucets, all Peerless faucets come with a limited lifetime faucet and finish warranty. Reliance manufacturers high-quality gas and electric water heaters that deliver hot water through high-efficiency and tankless solutions that last longer than competitors. Reliance Water Heaters are committed to delivering more water, longer hot water output, and less recovery time. They simply deliver more reliable hot water. Good masking is the key to clean, professional paint lines. 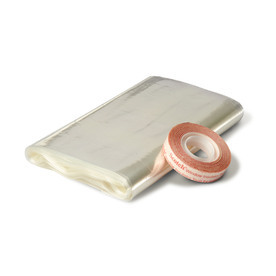 ScotchBlue™ Painter's Tapes are specially designed for optimum performance when used correctly. For an extra edge, look for tapes with Advanced Edge-Lock™ Paint Line Protector. This advanced technology helps keep paint out and produces super sharp lines for brilliant looks and unlimited ways to transform your space. Of the many factors driving innovation at Scotts, none is more important than the consumer. Innovation begins with our thorough understanding of consumers' emerging interests, their lawn care and gardening habits and, most importantly, unmet needs. Douglas Hardware and Rental is dedicated to selling the best product. Scott’s “Super” line of lawn fertilizers is simply said, their best fertilizer! It contains more essential nutrients than regular Turf Builder and is ONLY available at independent retailers like Douglas Hardware and Rental. You will not find this premium product at ANY of the mass merchants. Sunnyside has been manufacturing wood care products, paint thinners and solvents, and paint removers since 1893. With a legacy of commitment to quality in operations and attitude, Sunnyside’s products and services have attained a reputation for credibility that has grown over the years. This has helped them build a nation-wide word-of-mouth confidence in products that work. On more trucks and job sites than all other ladders combined! Focusing on end users' needs drives Werner’s success. Our entire product design process—from engineering to manufacturing—creates a climbing system that ensures productivity, durability and safety for the user. On job sites across America, Werner is preferred more than any brand because innovation, safety and durability are built into every product.